In 2005 we were honoured to be invited by our professional colleagues to design a new Tasmanian home for the Australian Institute of Architects. 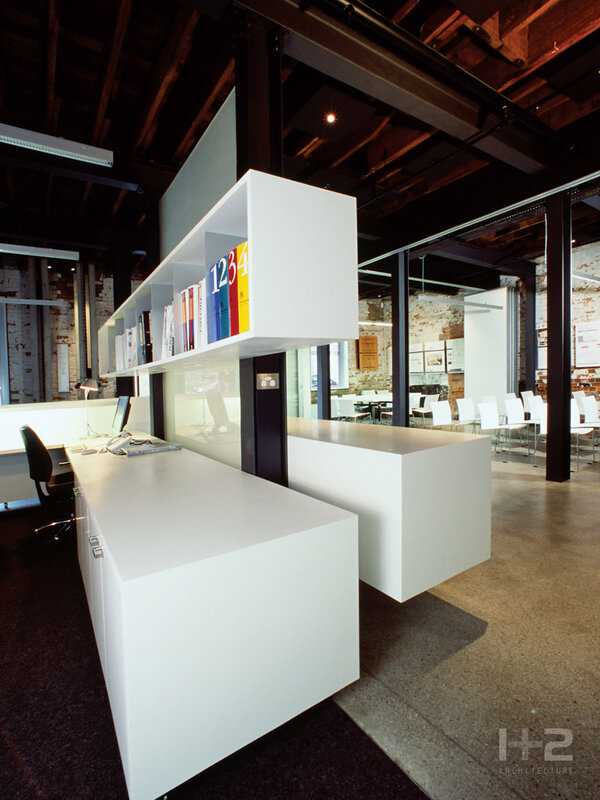 This heritage project required the conversion of a derelict industrial warehouse into a new corporate office suite. Heritage building fabric has been conserved and restored in consultation with the Tasmanian Heritage Council, while new building elements have been placed with care and clarity to create a harmony between old and new. Through a process of restoration and simple restrained intervention, life has returned to the disused structure. Heritage building fabric has been handled with the lightest of touch – cleaning, or simply been left, so that layers of history can be seen and understood. The new fabric is refined and clearly contemporary such that the contrast between old and new is stark. Simple devices heighten the contrast: new polished floors stop short of the walls, new elements are white and light, the old is dark and heavy. The result is a new place for architects to interact, learn and play and for Tasmanian architecture to flourish. “At last a home for the RAIA! The architects were engaged to fitout a tight space with numerous constraints, not the least of which was the daunting task of satisfying the critical appraisal of their entire professional cohort! Most would tremble at the thought; however the architects approached the task with their usual restrained confidence, and delivered a wonderful outcome. The brief inherently required a 'demonstration' project as it was to be the interface between the RAIA and the public, the industry, and the profession. The design is a sensitive response to the heritage context, illustrating a clear articulation of the often vexed notion of inserting new into old. The resolution of the multi-purpose spaces, the minimalist selection of materials, the sensitivity of the detailing all contribute to its success.